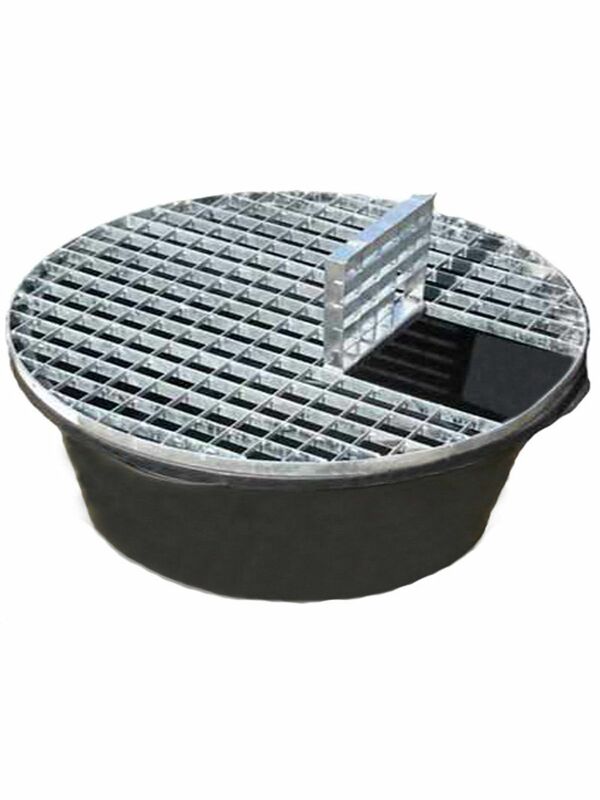 A reinforced heavy duty pebble pool consisting of a pebble pool base, which holds 60L of water, with a galvanised steel grid with pump access hatch and cover. The pebble pools are suitable for weights of up to 150kg (even spread) and allow simple securing of our range of stainless steel water features - simply bolt the water feature feet to the grid for a secure fixing. It can also be used in conjunction with our granite water features, allowing the granite safety support to be bolted onto the grid in order to stop the granite water feature from toppling.